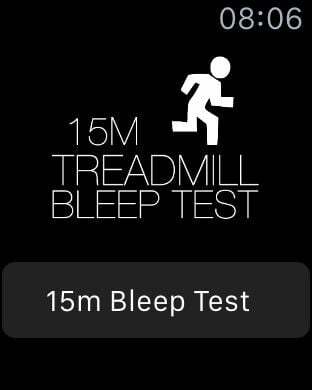 Unlike the standard bleep test where you turn around after 15 meters, the treadmill version has been specially crafted to display the correct speed you need to run at for each level. 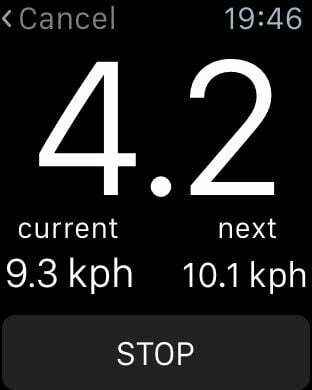 This means that the speed will steadily increase as the test progresses. 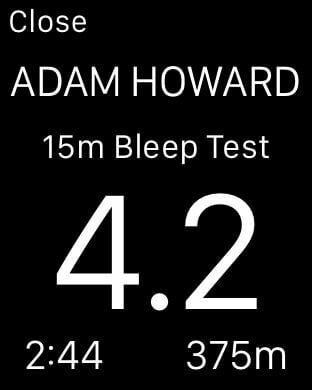 Bleep tests are split into a number of different levels, with a number of beeps at each level. For example, the requirement for police officer candidates in England and Wales is to reach level 5.4 (i.e. level 5, four beeps). The total running time for this is about 3 minutes and 40 seconds.